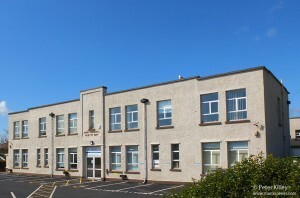 This former but original Jane Crookall Maternity Home became fully functional as a dedicated Maternity Home in 1938 and closed in 1992, this building, where I was born is now administration offices for the Department of Social Care. The property which had been bought and modified for the purpose by the then Mayor of Douglas, Alderman A B Crookall for a lasting memorial for his wife Jane. 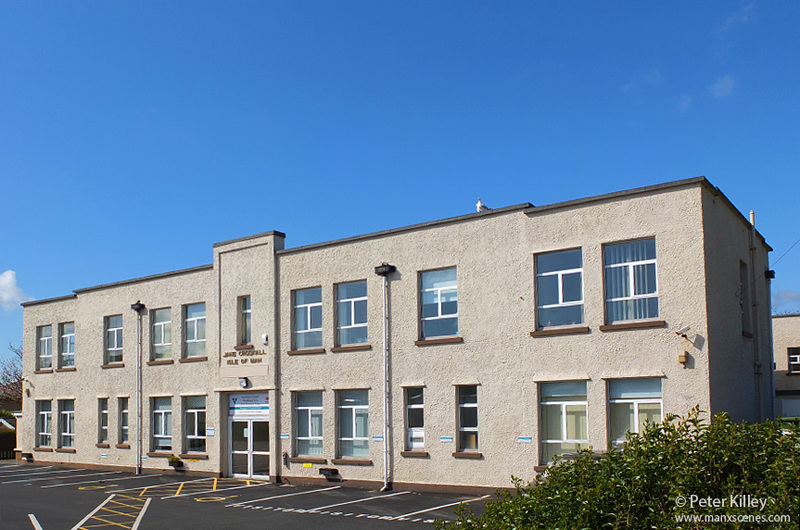 The building is situated on Demesne Road in Douglas is now called Crookall House and if my memory serves me right there used to be a figure of a stalk situated on the roof above the front doors! There have been some very famous people born in this building (apart from me!!) i.e. Robin Gibb, Barry Gibb and Maurice Gibb from the Beegees 🙂 there are plenty more I am sure! Also if my memory serves me right the rooms to the right of the front door were the delivery rooms! I was born in the Jane in 1951, and have been looking for a good photo of the place to add to my family history, is it alright to copy yours? Of course you can copy the image. When i come over this September i plan to take shots of some of the older Manx churches, do you know of any out of the way ones that may normally be missed? I stood outside the front door of this hospital exactly 21 years ago as my nephew Cormac was born. Ta for the photo and info. Hi there, I too was born in the Jane Crookall Maternity home, as was my sister and brothers, also three of my four children. I always remember the stock on the roof, where has it gone?! I loved going through all your beautiful pictures. It brought back so many memories. I was born November 12, 1949 in the Jane Crookall Maternity Home as well and my brother David was 5 years after me in the same maternity home. I am so glad to see what the building looked like. My sister and I came from Canada to visit our relatives on the Isle of Man in August 2011 and I wish that I could have gone there. I will come back. Thank you for your wonderful web site. If there is anywhere where I can find any records or more information . Of any information you could give us. I thank you for the information on the the maternity home. When I was a child we lived at 50, St Catherine’s Drive and could see the stork on the roof but I always thought that the home was situated on Westmoreland Road. You have now corrected my mistake after nearly 70 years. My younger sister was born in Catherine’s Drive on New Years day 1946. The house was originally my grandfather’s. Sadly the family left for England in 1948 and although my parents returned to Douglas then Castletown and now reside in Glencrutchery Cemetery I have only paid brief visits. I was born in the Jane Crookall Maternity Home, Demense road, 1929, but where was this? The same place you were born in Norman. I was born here in 1960 & my brother in 1962. I now clean the first floor. Peter, the stork from the roof of this the original Jane, does indeed now reside in the courtyard by the Jane Crookall wing in the ‘new’ Nobles Hospital, Carol. I too, was born in this Home in January 1955. I am coming back to IOM for my first visit since emigrating in 1957. I will be there in May 2016. I cant wait to see all the sights and history I have heard so much about all my life, from my family. I have always loved the Bee Gees, saw them in 1973/74 here in my state. So sad now to see that Barbara passed. To see three children pass away before her had to be horrible. I came across your site of this hospital where the Bee fees were born and that must be neat to know you were born in the same hospital. My moms mom passed away in a hospital called Home and Church in Baltimore, Maryland. That is the same hospital Edgar Allen Poe the poet died. Sadly I never knew my grandmother as she passed the year before I was born. The isle of man looks like an amazing place to live. In our crazy world, there seems to be places that are remote and maybe not as turbulent, I hope I am right in saying that. The bee gees had an amazing live, Andy was my favorite, had such a crush on him. Still wonder had Victoria stayed with him, maybe he would be ok? He took it bad when she broke up. You can hear it in his voice in some of the utube videos. So sad and now his two brothers and mom. I feel for Barry, and hope he has a long,happy life. my date of birth 5th October 1933, I was born at the Jane Crookall maternity home, my grandparents surname was Skillicorn. The front entrance was on Westmorland Road. The gardens around it were beautiful, and very peaceful. As the entrance is now at the “back” it can be a little confusing. I too was born here in August 1960. My workplace is here at present but we will all be moving out in the near future. This is the first time I have seen a picture of the maternity home where I was born in February 1952. My father was stationed at RAF Jerby. He was away when I was born. My mum said that she had to spend 14 or 15 days in bed. It didn’t matter how well you were you had to stay in bed all that time. It was very strict in those days. I feel awful that I have never been back to my birth place but I am very proud that I was born in the Isle of Man. Hope to one day visit this lovely island that my mum is always talking about and she really enjoyed living there. We left in 1955 when my father was posted to Hong Kong. Many thanks for the picture and the memories from others born in the Jane Crookall Maternity Home.